You may be a firm believer in love at first sight. Indeed, mutual attraction and that initial spark of interest are hard to deny, or ignore. However, the strongest and healthiest relationships take time to cultivate. They are based upon common interests, compatible personalities, and respect for one another, as well as love, trust, and patience. There can be little denying that even the most loving relationships are hard work. Despite appearances, the most committed couples are working tirelessly behind the scenes, putting one another first in all kinds of situations. Those kinds of relationships are by no means effortless, but they are the most worthwhile. 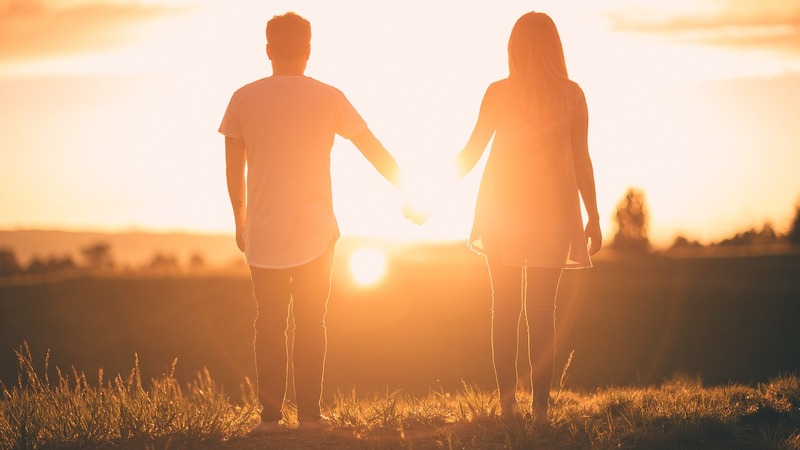 There are a number of habits that couples can adopt if they’re to further their feelings and ensure that their relationship stands the test of time. Perhaps you’re one of those couples, or you strive to appreciate your partner in that way. Whatever the state of your love life, we feel that there’s always room for improvement. Relationships begin to fall apart when you become two ships passing in the night. It’s not uncommon for couples to spend time apart. Indeed, you’ll doubtless need your own space from time to time. However, it could be time to reassess your relationship if you’re spending more time apart than you are together. The strongest couples endeavor to make time for one another, whether that means regular “date evenings” or appreciating one another’s company at the breakfast table. Those moments of togetherness, however brief, will remind you what you love most about each other. Communication doesn’t just refer to the art of discussion, but also the act of listening. Couples must be able to speak as equals, and to be prepared to listen carefully to one another’s happiness and grievances. They say that a problem shared is a problem halved. This gesture of giving and taking is essential for the health of any relationship. Can you openly discuss any issue without awkwardness? Are you happy to open up to your other half about things that might be bothering you? Such conversations will enable you to grow as a couple, and demonstrate two people completely at ease with one another. Trust is essential for the health and strength of any relationship, whether it has been a matter of weeks, months, or years since you and your partner first came together. Trust is the foundation upon which all relationships are built and nurtured, and should begin from the moment a couple agree to get together. Take sexual intimacy, for example. STD testing is an essential way for couples to know for sure that they’re beginning their relationship in good faith. Once that trust has been established, it can be continued via honest conversations about history and preferences – in all aspects of life and the relationship. It’s okay to have your own interests. Opposites attract, after all. However, the strongest couples make time to enjoy shared activities, whether that means watching a movie together, going for a run, or enjoying a day out. If you’re communicating clearly and concisely, the chances are that you already know what makes your partner tick. Are there any activities that you could enjoy together? Strong couples don’t just complement one another, but they compliment each other also. You may know that you love your partner, but how often do you come out and say those three little words? Does your partner know that you appreciate her cooking, or his DIY capabilities? We are too quick to chastise. Healthy relationships are founded upon love and respect, and an ability to tell one another what it is you fell for in the first place. Endeavor to leave home each day with a compliment, and never, ever go to bed on an argument. Remind yourself what it is that you love the most about your significant other. The strongest and healthiest relationships aren’t built on having exactly the same tastes but upon respecting the other person’s character and passions. You may not share the same political views or favorite bands, but you’ll appreciate that your partner holds those opinions – and you won’t try to change or mold them to suit your own way of thinking. Couples in healthy relationships agree to disagree a lot of the time, and it doesn’t have to mean compromising your own happiness. Mutual respect also means biting your tongue every now and again, and keeping those criticisms constructive. You and your partner have no doubt found a routine that works for you. A strong and healthy relationship requires communication, trust, balance, and compromise, as well as things such as attraction, appreciation, and lust. When you’ve developed this kind of relationship, you’ll know that it’s worth holding onto, by any means possible.